It’s Columbus Day and as a way of showing our love for our customers this year, we have decided to offer you 20% off of your next purchase of a beautiful tulip bouquet with Avas Flowers Tulip Coupon Code. The tulip is known for its thick petals and long slender green stems. The flowers come in many colors, such as pink, yellow and white. This creates a number of meanings and uses for them in arrangements. Tulips were originally from Turkey, and were brought to Europe in the 16th Century. This is where they got the name tulip from, as it happens to be taken from the Turkish word for gauze. By the time the 17th Century rolled around, the popularity of tulips became so great that the price of a single bulb soared to never before seen prices. Tulips are easily cultivated, which allows for more hybrids yearly. This has created many variations, such as streaked and striped colors. Many of these can be found through festivals or specialty growers. 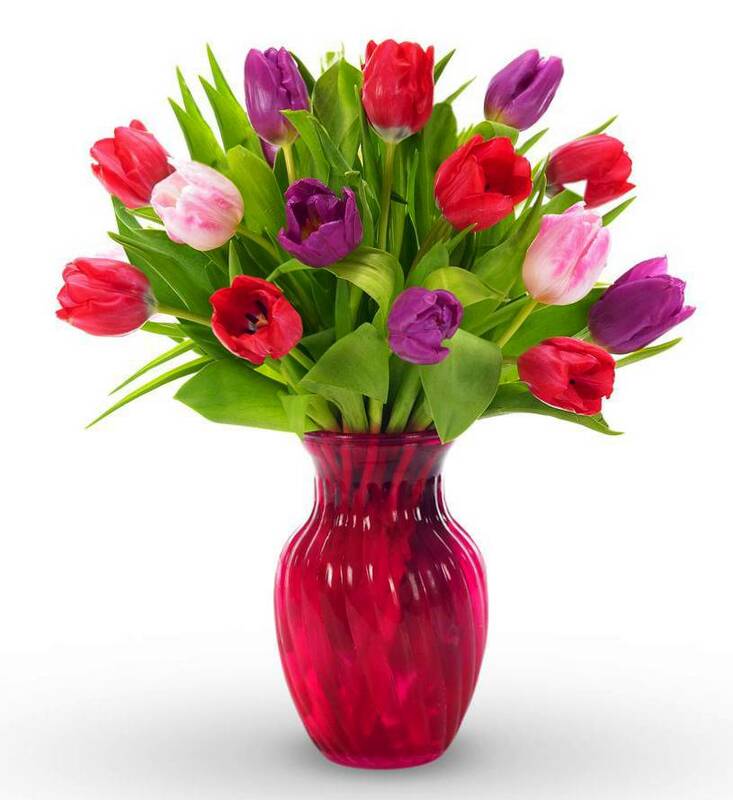 The Jewels Tulip Bouquet is a gorgeous assortment of assorted colored tulips in jewel tones. Arranged in a clear, cylinder vase and accented with a purple bow, this beautiful arrangement is simply divine, and is sure to bring a smile to your recipient’s face.